The best and most affordable way to quickly furnish and entire exam all for a single delivered* price. 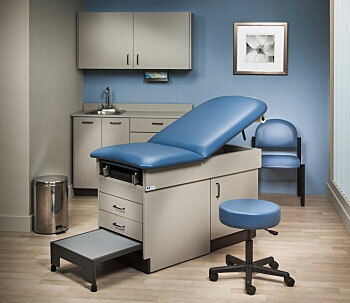 What you see is what you get: our mostpopular exam table; 48" wall and base cabinets with stainless steel sink and faucet; single, stainless steel glove box holder; 5-leg pneumatic stool; stainless steel waste receptacle and coordinating padded side chair. Save time and save money with this inclusive, exclusive offer from Clinton! NOTE: Delivered price is for dock to dock only. 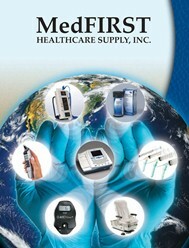 All other delivery options are at an additional cost.